The Business and Professional Services sector is well established in Northern Ireland, employing over 15,000 people in shared services, customer and global services centres. The region offers capability and expertise in areas including customer service; technical support; human resources; law; finance and accounting; marketing; design; business intelligence and data analytics. Offering a largely untapped pool of highly educated people who have a professional attitude and strong work ethic – the region has attracted a growing number of international investors including Deloitte, Citi, Allstate, Baker McKenzie, PWC and Caterpillar. 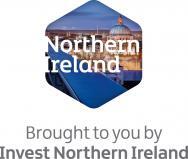 As the regional business development agency, Invest Northern Ireland’s role is to grow the local economy by helping new and existing businesses to compete internationally and by attracting new investment to Northern Ireland.